West African fabrics are famed for their bright colours and bold prints. From Super Wax and Jacquard to Guipure Lace, the fabric options are as numerous as the patterns and colour combinations. But when you are dressed top to toe in an eye-catching print, accessorising can present a problem. While the right accessory can elevate your ensemble to new heights of style, the wrong bag, scarf, shoes or jewellery can mute the effect of your favourite print, or detract from the overall effect. 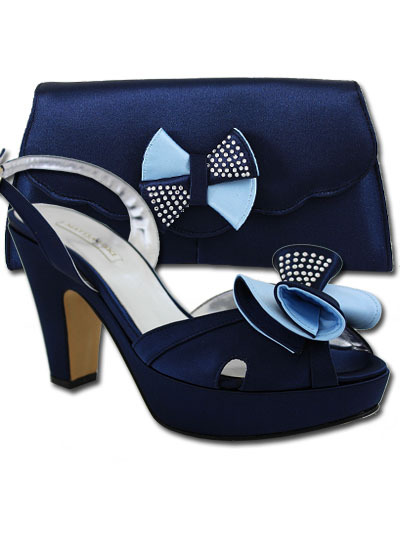 By choosing a matching pair of shoes and a handbag, you will add a touch of class to any outfit. But when your clothing features a busy print, matching accessories keep your look neat and stylish without overpowering the main pattern. Many bold prints are set against a strong, dark colour (e.g. blues, browns, reds and greens). By matching the colour of your accessories to the main colour of your outfit, you risk overdoing the effect. Instead, pick out a minor colour which runs through the pattern itself, and match your accessories to this. The subtly matching colours will make your outfit look ‘put together’ and elegant, without going over the top. The trend for clashing prints shows no sign of abating. But this is a tricky look to pull off! The key is to match up the style of pattern or the colours used, so that your two prints almost match, but not quite. Look for fabrics which share a colour palate, or feature a similar style or size of print. If you are having your outfit made up from raw fabric, make sure that the seams of both pieces are in line, so that you can maintain the symmetry of the clashing patterns. And finally, limit your clashing prints to two different pieces – perhaps a tote bag and a dress; or a headscarf and a skirt. You want this look to be fashionable, not fussy.